Don’t miss Earthquake, a major exhibit exploring the seismic science of Earth’s fascinating geologic transformations—and forces that continue to impact our lives today. Occupying the entire west wing of the Academy, Earthquake goes big: Among its large-scale installations are a walk-through model of planet Earth, an earthquake simulator resembling an old Victorian home, and an interactive space that teaches earthquake preparedness. Step into Earth's interior to see the forces and phenomena that drive the movement of tectonic plates. Examine geologic specimens from Earth's core, mantle, and crust, and explore what earthquake wave patterns tell us about the inner workings of our planet. Earthquakes are nothing if not unpredictable, so preparedness is key. Learn tips on how to make a plan, make a kit, get kids involved, and more! Recreate the ancient landmass of Gondwana by using touchscreens to rotate and move puzzle pieces across an 85-inch plasma screen. Shaking with curiosity? 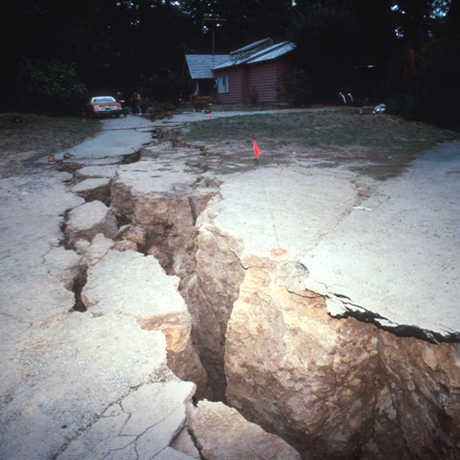 Learn even more about earthquakes in this multimedia course—a collaboration between KQED and the California Academy of Sciences. Professor Bruce Bolt pioneered the field of seismic engineering, helping to strengthen California safety codes for private and public buildings. A former president of the Academy's Board of Trustees, Bolt is remembered for his passionate advocacy of earthquake awareness. The Earthquake exhibit is generously supported by the American Red Cross Bay Area Chapter; Terri Arington; Joan and Peter Avenali; Janice and Matthew Barger; California Earthquake Authority; Caroline Damsky; Michele Dana; Jean and Gregory Farrington; Randi and Bob Fisher; John and Carol Hamilton; Ishiyama Foundation; Stuart Jivapongse; Ann L. and Charles B. Johnson; Lakeside Foundation; Vera and Ken Meislin; Rand Morimoto; The Bernard Osher Foundation; Pacific Gas and Electric Company; Jaclyn Rusch; Betty and Horton Shapiro; Joan Steinberg; Toshiko and Larry Toji; and Dawn Yates Black. Computer simulations, infographics, and hot tips—explore it all in this rich collection of earthquake resources. Many countries get a heads-up before the shaking starts. When will the U.S. get a system in place? 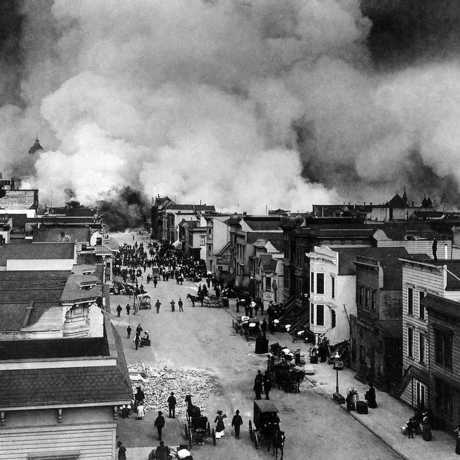 On the anniversary of the 1906 seismic event, we look at recent earthquake news.